Can you confirm these amateur observations of Asaccus kurdistanensis? Type locality: ca. 1,850 m elevation, in the Zagros Mountains, 10 km north-west of Sarvabad, between Marivan and Sanandaj, Kurdistan Province, western Iran (46º 17΄ E; 35º 08΄N); coordinates corrected to 46° 28’ E, 35° 28’ N by TORKI & SHARIFI (2007). Types Holotype: RUZM 1999, adult male, collected by the senior author on 13 June 2004. Diagnosis Diagnosis. 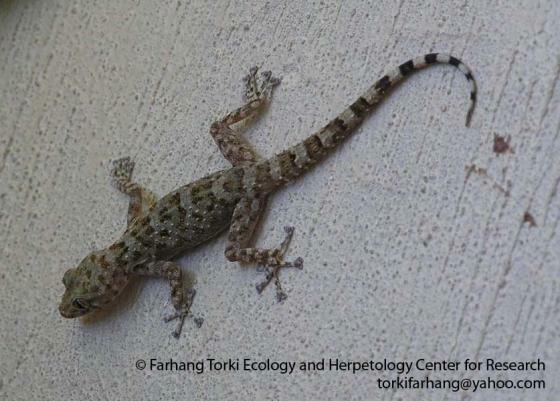 A relatively large-sized gecko (maximum SVL is 63.5 mm), with three pairs of postmentals, extension of dorsal tubercles onto the head region and upper surfaces of the hindlegs, presence of large, mucronate and tubeculate scales on sides of tail segments and a relatively distinct colour pattern. Diagnosis: A relatively large-sized gecko (≤63.5 mm from snout to vent) with three pairs of postmentals, mental larger than the first of postmental; rostral shield broad, in contact with first supra labial and intranasal; intranasal shield large, swollen (about twice as large as postmental scales); gulars granular, smooth and in single longitudinal row from the level of second part of postmental to gular, 56-57 scales; scattered roundish tubercles on nape and head; dorsal scales granular, among them long, roundish, smooth tubercles (3 times size of granules), separated from others by 3-5 granules; ventral scales smooth, rounded, subimbricate, and larger than gulars; large scales on the side of tail pointed and keeled (unlike the shield on dorsal side of tail); cloacal tubercles relatively small (Rastegar-Pouyani et al., 2006). Rastegar-Pouyani, N., Nilson, G. & Faizi, H. 2006. 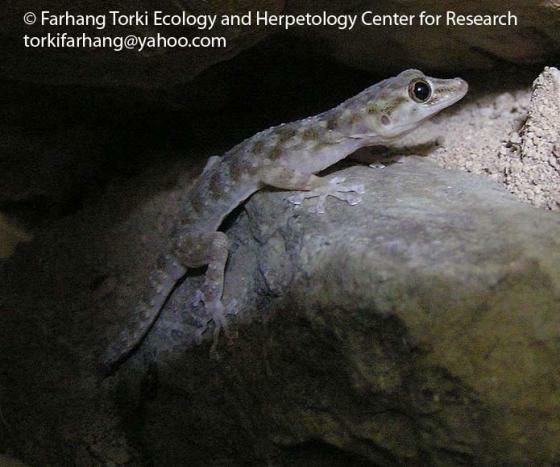 A new Species of Asaccus (Sauria: Gekkonidae) from Kurdistan Province, western Iran. Hamadryad 30: 141-150.